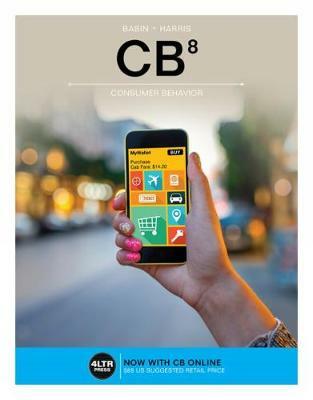 Learn your Consumer Behavior course YOUR Way with CB! CB's easy-reference, paperback textbook presents course content through visually-engaging chapters as well as Chapter Review Cards that consolidate the best review material into a ready-made study tool. With the textbook or on its own, CB Online allows easy exploration of CB anywhere, anytime - including on your device! Collect your notes and create StudyBits' from interactive content as you go to remember what's important. Then, either use preset study resources, or personalize the product through easy-to-use tags and filters to prioritize your study time. Make and review flashcards, review related content, and track your progress with Concept Tracker, all in one place and at an affordable price!